Job Audio is not very famous in Italy. It does not have a vast distribution; therefore, these interesting products, remain in a niche. There is an American Company that sells it online but there is also Goldmund involved. You might remember that I referred to it when I wrote my review about the Goldmund system I had at home. After listening to the Goldmund system I wondered how the less expensive line might sound, I was curious to listen to it to find out the differences between expensive and economic line. I asked to have the power amplifier for a review and the day after I received it. Together with the power amplifier - that is light and easily movable - I received also the Sweetcord cable, branded Goldmund. The 225 is small. 36x24x8 cm, smaller than the standard rack dimensions. The black anonymous chassis is the only hint that it is an object of a lesser price category. The front panel is up to the most expensive devices. 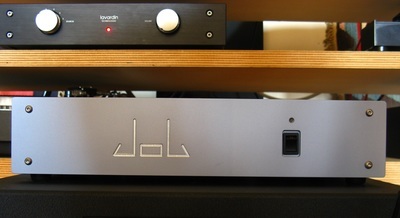 The connectors are of a good quality and there are 2 unbalanced inputs, the loudspeaker outputs accept all kind of connections. They look cheap but the can grip the spades quite strongly. The IEC port completes the back panel. In the packaging there are the instruction manual and the power cable that is a normal black cable, I received one with the standard swiss plug. It’s up to you to substitute it or to use an adaptor. The alternative that costs 299,00 USD is the Sweetcord, you can ask for it with the desired plug. As for the performances of the 225, the manufacturer says it has a good speed following the transients, the output power is 125 W on 8 Ohm for each channel. This means that the amplifier works on 4 Ohm but it does not have the usual doubling of the power when the impedance is halved. The frequency response is wide, the MHz is at -3dB while the usual technical and noise data are in the average. 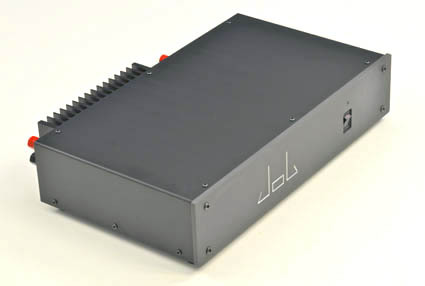 The input sensitivity is very high:0,75 mV to reach the maximum output power. With my Lavardin that has the same nominal input of the JOB , the chances to move the volume knob are few. With the knob at 9 hour, both with the CD and the vynil, the sound is quite loud. I hope you have volume potentiometers very precise or loudspeakers less sensitive than mine. As you can see from the pictures the JOB is a solid state design. Bauer Audio DPS2 turntable, Mørch DP6 tonearm and Lyra Kleos cartridge; phono preamplifier American Hybrid Technology Reference-P Non Reference; Pioneer PD9 modified CD player; Lavardin C62 preamplifier and Olimpia Audio Guglielmo MkII; amplifier Wyred4Sound SX; speaker systems Audio Note AN E-Spx and PSB Audio Alpha B1; speaker cables MIT, DH Labs and YBA. I began to listen to CDs. I had in my player the Symphony n.9 by Beethoven directed by Ferenc Fricsay (DGG) and I immediately heard an unusual swelling in the mid-low range. I have found the same swollen sound in every CD I listened to; some Cantatas by Bach in the execution of Harnoncourt/ Leonhardt on Telefunken, St Matthew’s Passion directed by Herreweghe in year 2000 on Harmonia Mundi, the CD “Round About Midnight” by Miles Davis and the Manhattan Jazz Quintet CD. Also the high range was not as bright as I am used to listen. Dynamics is excellent and sometimes explosive, also the position of the instruments on the soundstage is right, but after a while the sound is annoying, so I turned the volume down. At first I thought it was some connection’s fault, so I changed the MIT power cable with the XLO first and then with the Kimber. The change was not so evident. After two or three days of silence I played the Orchestral Suites by Bach in the execution of Gardiner on Archiv with the DPS turntable. This is a record that reminded me of a person, the owner of a shop in Carugate, close to Milano, mister Carulli. Things this time were perfect. The dynamics and the soundstage were correct and the low range was almost perfect, not swollen and perfectly natural even if a bit backward. I thought that it must have been the recording that was poor in the mid-low range and so I listened to another recording that I had listened a few days before: the Symphony n°2 by Jan Sibelius, directed by Sir Barbirolli, Chesky Records. This time things were once again correct. Low range at the right place, nice dynamics and soundstage and only the highest extreme a bit backward. I wanted to understand the reasons behind these results and I remembered that when I bought the DHL Lab cable that connects CD player and preamplifier I noticed a small emphasis in the mid-low range. Maybe it’s the JOB that makes it more audible. So I changed the DHL Lab with a Gotham cable. I immediately noticed that I had lost something in definition in the high range but I had a better balance in the mid-low range. 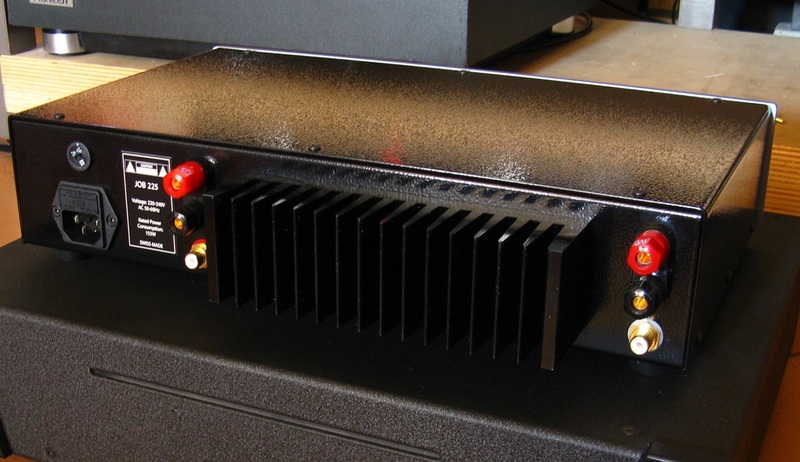 With this small and not too expensive amplifier we have an excellent transparency. This device drives the loudspeakers in a very strong way, as for the dynamics nothing puts it in hardship. In the Sacre du Printemps by Stravinski on Telarc (Maazel) or in the Fanfare for the Common Man by Copland (Crystal Clear), the hits of the bass drum and of the timpanys are very strong. 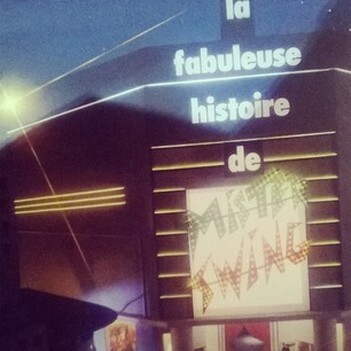 Voices are perfectly reproduced, as it is in St. Matthew’s Passion by Bach directed by Herreweghe (year 2000) or in the double live LP by Michel Jonasz, la Fabuleuse Histoire De Mister Swing. The piano is perfectly reproduced and also the dynamics of the instrument are different as it is apparent in the comparison between the Steinway used by Pogorelic in the Gaspard de la Nuit by Ravel (DGG) and the Bosendorfer that Michel Frager played with musics by Chopin (Telarc). 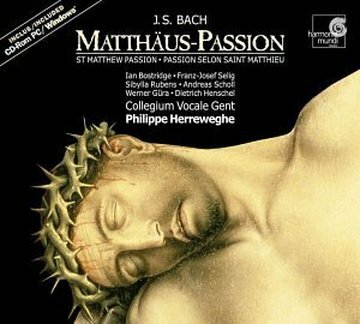 After having listened to wonderful Also Sprach Zarathustra by Richard Strauss in a concert hall, I have tried to listen to it again at home. Well I have played it at a very high volume and I must say that this “small “ device performed very well. When the burn in was complete it became evident that the low range is shorter than usual. There is power but the lowest range and the deepest keys miss a little energy in the lowest part. As I have already said the high range is extended but not prominent. Some people might think that only the mid range is present but this is not what I wrote. Well, all in all it is a live sound that reminds that of the concert halls. There is a sensation of swiftness with any music genre and long listening sessions are never tiring. 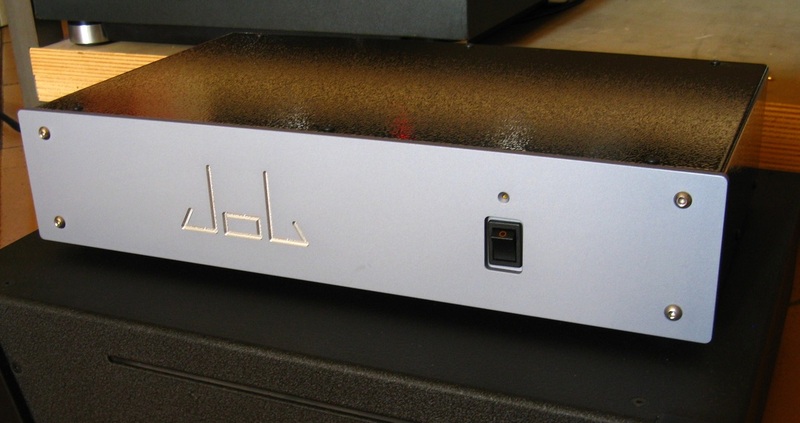 This small JOB plays everything with its own personality without any difficulty - the soundstage is very good. Not as deep as I am used to have - but it is surely ample and high enough. 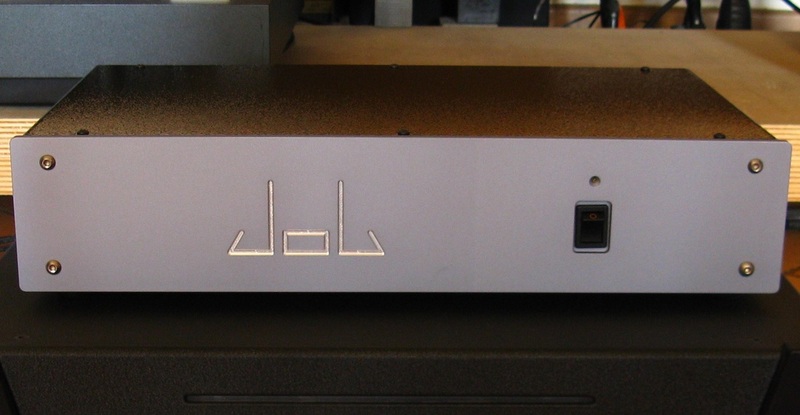 Dynamics is present with this amplifier and and in normal domestic listening rooms is never lacking and sometimes it is even plentiful (even using loudspeakers that are not very powerful). It costs around 1500 euros that to me are not a lot considering its performances. It’s not easy to listen to it since it is sold only online. You’ll have to trust me this time. After having written my listening notes I read some reviews online and I must say that the reviewers had the same impressions I had. I am not among those that write that the device they are listening is worth 3, 4 or even 6 times its price. I think that to state it one should have listened to each and every device that the hi-end market offers … impossible to achieve! What matters is the final result considering the source, the amplification, the loudspeakers and the room. Well, if your budget is about this amount I think that you should consider to buy this JOB. Just a few lines on the Sweetcord power cable - that I have tried on every device I have in my system, just to be sure about the results with the JOB. Its price is not too expensive especially if you consider the finishing of this product that is really of high quality. As for the sound this cable makes the sound a bit sweet, it does not subtract frequencies but reduces the acute sounds, long listenings are more enjoyable and the soundstage is enlarged in every directions. I prefer my Systems & Magic cable or the original cable with classical and jazz music but the vocal antique repertoire with the Sweetcord came out at its best. Well, the decision is up to you.